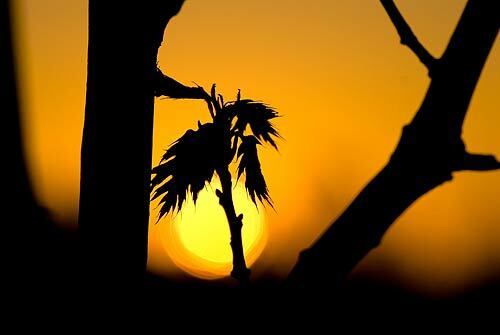 It may be a slightly unusual macro shot, but it is depicting a leaf on an oak tree in our garden, just about to unfold, with the setting sun in the background. It is taken with the Nikkor 105mm f/2.8 VR macro at f/5.6 @ 1/2500th. I guess the bokeh seen in the setting sun is a combination of the real bokeh of the lens and some internal reflections, but whatever strange character it has, I feel it just adds to the image. As usual, click the image to see it larger. Anyway, just to show that not all is about disk crashes and computer problems. The server now seems to be fully back in business, and hopefully the new disk will last for some years before it needs to be replaced! You are currently browsing the Per's Page weblog archives for May, 2007.